This post and asso­ci­ated audio comes via a Skype inter­view from the beau­ti­ful town of Monzambano in Northern Italy where I star­ted my trip to train acu­punc­tur­ists in Europe. Today I want to dis­cuss what is becom­ing a major scourge of the 21st Century – anor­ex­ia and bulimia – eat­ing dis­orders that are affect­ing so many bright young people in our soci­ety today. From a tra­di­tion­al acu­punc­ture per­spect­ive, we util­ise a very ele­ment­ary per­spect­ive. It is an altern­at­ive per­spect­ive, but it is not the only per­spect­ive we use — but it does give us a way of look­ing at health con­di­tions to give us a dif­fer­ent angle and a way of treat­ing people suf­fer­ing from dif­fer­ent med­ic­al con­di­tions. From the ele­ment­al per­spect­ive, we use what we call the five ele­ments – wind, water, earth, met­al and fire. The primary ele­ment affected in the case of bulimia and anor­ex­ia, accord­ing to Japanese Acupuncture, is the earth ele­ment. We nom­in­ate the organs and the energy meridi­ans con­trolled by the earth ele­ment as the spleen and stom­ach, which seems quite nat­ur­al. 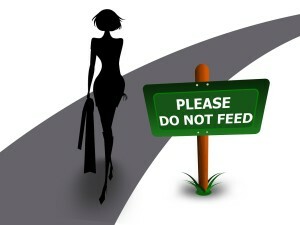 What can hap­pen is the earth ele­ment is util­ised and con­sumed when we eat and also in deep con­tem­plat­ive thought. So one of the symp­toms of the defi­ciency in the earth ele­ment can be eat­ing dis­orders but it can also be diarrhoea – it does not have to be anor­ex­ia or bulimia. One of the oth­er symp­toms of a defi­ciency in the earth ele­ment is over-think­ing. This con­sumes an enorm­ous amount of energy and cre­ates a cycle – almost an end­less cycle of going over the same thing again and again and again. It becomes very dif­fi­cult for the per­son in this situ­ation to cor­rect or bal­ance their lives. It becomes more pre­val­ent for them to become con­sumed about one par­tic­u­lar aspect of their lives. They lose the abil­ity to look at the big­ger pic­ture and become very honed in on one par­tic­u­lar aspect and com­pletely close off. This cre­ates a habitu­al, mental/emotional con­di­tion from the per­spect­ive of the anor­ex­ia or bulimia digest­ive pat­tern where the men­tal pro­cess and emo­tion­al pro­cess res­ult in the digest­ive sys­tem being com­pletely dis­or­gan­ised and dis­or­i­ent­ated. As a res­ult of this, there is a con­tinuum of this scen­ario just evolving again and again. It is a massively destruct­ive wheel. I’ve found his­tor­ic­ally in my thirty years of prac­tice that acu­punc­ture, espe­cially the very gentle style of Japanese Acupuncture, to be incred­ibly effect­ive in help­ing people suf­fer­ing from these con­di­tions to cor­rect the men­tal and emo­tion­al pat­tern which then helps them to cor­rect the massive digest­ive upheav­al that they exper­i­ence as a res­ult of their con­di­tion. I have great empathy for people in this situ­ation and their loved ones watch­ing these people go through this incred­ibly debil­it­at­ing con­di­tion. 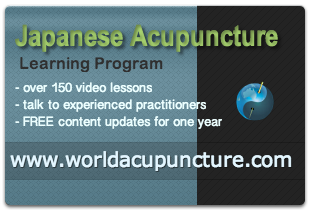 Please feel free to con­tact me if you would like to know more about how Japanese Acupuncture could pos­sibly help someone you know who is suf­fer­ing from an eat­ing dis­order. It is quite rare for a per­son with an eat­ing dis­order to be motiv­ated to try tra­di­tion­al acu­punc­ture and usu­ally it is the loved one who asks their son or daugh­ter to give acu­punc­ture a try to cor­rect their eat­ing dis­order. You can con­tact us at either our Brisbane acu­punc­ture clin­ic or our acu­punc­ture clin­ic on the Gold Coast.